"Easy Heatmapping and Quick A/B testing that works with Tag Manager"
This is the only multivariant testing solution that works well with Google Tag Manager. Others like OPtimizely and VWO require hard coding scripts into your site which takes longer in a decentralized work environment where certain simple tasks take multuple 3-week sprints to complete. I just wish there was a way to organize things better by project visually. I would recommend using the chrome plugin for desktop screenshots and mobile screenshots to create new snapshots. creating new snapshots from the site for a responsive website was a little buggy as of writing this review. We use crazy egg to study user click and scrolling behaviors. There was one example of an article we posted about a product announcement and people were clicking on an image in the article. We realized that our visitors thought they can go to the product details page if they clicked on the still life image of the product line. "Great Heatmapping and Scrollmapping Tool"
I wish you could use this on an email template so you could see where people are clicking on your email. It's a great tool to use, gets the job done. We are able to see if people are clicking on things that should be linked (aka an icon that is there for visual purposes). And we are also able to determine where people are leaving the landing page. We have used this tool as "evidence" that certain landing pages need to be updated and where. The heat-map is great, it is very convenient than the map is color coded, so it takes just seconds to get useful insights. It is also very useful that by clicking the dots on the map you can see exact amount t of clicks. I needed a tech person to help me to integrate CrazyEgg with our website. I did everything by following the instruction, but it did not work. Fortunately one of our tech guy did it within seconds. It worth to try the tool. They offer a free trial, so you can try it and decide if you need the tool. CrazyEggs helps us to understand our website's users' behavior. We can see not only what pages are the most popular, but also what particular content on a particular website's page is more relevant to our audience and what content has to be changed or deleted. "Does exactly what I need it to do, with no hassle"
Crazy Egg is a relatively simple software solution that does exactly what you want it to do - track visitors to figure out how they interact with your website. I particularly love their video recording tool, which lets me literally watch a recording of how someone interacts with my site. I can figure out which buttons to change, which text to move around, etc. The only complaint that I have about Crazy Egg is that when you are using the recording feature, it doesn't show you any videos that are playing on the site. This a problem because if you have a video sales letter or any type of video on your website, it's difficult to figure out how people are engaging with it. Just give it a try - they offer a free trial and it's incredibly easy to install the code on your site. Depending on how many pages you want to track, setup could take five minutes or less. I am able to see how people are interacting with my site. I've been able to make several changes to improve engagement and conversion rates. "Great inexpensive tool to identify web improvements"
Crazy Egg is super easy to set up and it is always well received by team members. Additionally, it is far more user friendly and easier to digest that Google Analytics in-page tool which is why I think its worthwhile to invest in this tool if you can. It would be nice to have the option to pay monthly vs annually. Additionally, it would be great if they rolled out more visualization features. I would recommend signing up for the free trial and testing it out if you are in the market for a heatmap tool. Its well worth the cost if you are looking to do any web redesigns. We are able to better understand how to make improvements on our site based on the heat maps. It provides an unbiased view for the team to learn what may not be working well on the site. This tool will show a website's heatmap, scrollmap, confetti, and overlay, what more could one ask for!? It is great for A//B testing or just to gain insight into a website and their visitors. This is like the Google Analytics in-page analytics on steriods. I wish their were more pricing options or maybe custom options. Set it up for the important pages first, maybe just the homepage. Showing clients that they need to change their website for the sake of their visitors. You cannot just throw up a site and expect it to work. This tool helps show clients their website needs some work. "A Very Cool, Easy to Use Software for Website Analysis"
The snapshots offer a variety of ways to track how visitors are exploring and using your website. I think it's a little pricey for small business for subscriptions. I highly recommend using confetti feature of heatmap, it's the most complete way to analyze clicks on a website page. We are able to view exactly how users are interacting with our website and what is drawing their interest. We've made several changes to landing pages based on the results from Crazy Egg. "Simple heatmaps, needs more features"
Easy to integrate with Optimizely. Confetti helps to visualize clicks by segments - device, new/old visitors, campaigns, etc. Limited visualizations - CrazyEgg doesn't offer attention maps or mouse movements like other services. If you need to get simple heatmaps that's easy to integrate with Optimizely easily. If you have a small budget and you don't need in-depth data analytics. Otherwise, there is plenty of fish. Mostly we used CrazyEggs due to its easy integration with Optimizely to get heatmaps from different variations while running A/B testing. Those heatmaps were useful, however we really missed some other informations like mouse movements and attention maps. "Inexpensive but effective heat mapping tool"
I love how simple it is to set up and measure heat maps. I was able to easily get everything running quickly as it just requires a light piece of code on your site. It also has a great price point so is an easy sell for the team. Given that it is a lower end tools it has some limitations in what you can measure but it meets requirements for most small to medium size businesses. We are able to use the heat maps to gain insights and come up with ideas on what to test on the website before a full redesign. "Heat mapping our way to a more user friendly site"
We just rebuilt our website for a second ( really third) time within the last year and a half but only started implementing Crazy Egg in September. This has been a big key in showing us how our users are liking the new layout and site. With this product I love being able to see if the users are trying to click on our lead magnets that we put so much work into, how much of the page they're actually reading or viewing, what items they may try to click on that aren't clickable, and so on. It makes my job easier as the web designer to better create the flow of the site for them. The one thing I'm not too fond of with this product is the time frame that the snapshots are up. 60 days is a great amount of time but I wish I could get some sort of reminder that I need to basically renew them. Also it would be great if I could get a personalized report from month to month of my screenshots telling me where traffic has improved or decreased so that I'm aware of what to keep an eye on. It's a great tool if you're a visual person. Being able to see the scrolls and clicks of your visitors gives it that much more of a meaningful experience. Numbers are great and all but actually being able to see their movement through out your site and knowing how to move them throughout, is just a great thing to have. We are solving user experience issues that we have had in the past. We would lose them somewhere and Google Analytics sometimes wouldn't really give us the whole story as to why they were leaving us. With Crazy Egg we are able to see more of what our users are seeing and where they are headed. "Simple - Almost To a Fault"
I love the simplicity and ease of use of CrazyEgg if that's your goal for a heatmap / user recordings software. This platform works well as an initial introduction to user research. CrazyEgg is incredibly cost-effective - with a yearly cost that is small in comparison to its competitors. If you're looking for heavy user analytics, segmentation, and etc - you should look into another platform. Additionally, I wished Crazyegg rolled out more features - more often. Their latest feature - user recordings - had some loading issues initially and it was difficult to view on our browsers. If you're looking for heat maps and basic user recordings at a great price - this might be the right platform for you. For more advanced users - I do recommend looking into feature-heavy alternatives. Crazy Egg is helping us analyze what are website visitors are interacting with. It gives us the ability to analyze the effectiveness of our landing page designs (from a UX perspective). "Using Crazy Egg with A/B Testing and Analytics"
I like the ease of installation and the different views you can get instead of just a generic heat map. The tool is user friendly and not technical in a way that most people could just pick it up and use it without a lot of additional training. The technical support has not been the greatest and sometimes we have not received responses to our questions. Setting up individual URLs is easy, but when it is a single URL that is split at a testing source, you have to dig a little deeper to set that up. It's not hard, but that set up is buried and harder to find. It is a great tool for the price and has easy installation. I wouldn't hesitate to recommend the tool to anyone who is in need and considering the tool. We are using Crazy Egg in conjunction with our A/B testing tool to gain additional insight to our customer's behavior. We have realized that there is more to analytics than just numbers and we need a tool like this to paint a bigger picture of customer behavior. This is a great tool to supplement other tools such as Google Analytics to give you more insights about your audience's behavior and engagement on your website pages and to help you make optimizations to improve click throughs and conversion rates. I'm able to see how website visitors interact and engage with pages on my website and see what types of calls to action, buttons, content, offers, etc. are working and what is not so I can continue to make optimizations to my site and help improve conversion rates. We have been able to gain very useful insights to what users are doing when they reach key pages on our website, by tracking their behavior we have been able to implement numerous changes to our site which have resulted in higher conversions. We don't dislike anything, but I would love if they Crazy Egg had video tracking. Just go with it, it's not expensive and is more than worth giving it a try. We were trying to figure out what was working on our pages and what wasn't, Crazy Egg has been a great tool by showing us what is working and what isn't. "Easy Heatmaps For Your Website"
Easy setup and free trial gives you solid answers for clients about their website and design. It's only free for a short time, and there are a lot of free options that do similar things. It's the next step up from Google Analytics heat mapping. Nothing against GA, but CrazyEgg just seems to work better. When a client asks about how their website really gets used, this is usually the next step after showing them Google Analytics. CrazyEgg heatmaps provide a visual representation that make is easy for clients to see how their site is being used or how their design may be detracting from conversions. Cazzy Egg is one of the best hit map tracking tools on the market. They provide data on performance of your pages on desktop and mobile devices. Key functional includes clicks from specific channels, hit maps, and how far people scrawl. It also has integration with Optimizly making it a great add on for A/B testing. Integration with Optimizly can be updated where Cazzy egg would ask first before creating tracking. In addition, it would nice to be able to record user interaction with the website on per session bases. Understanding how people are interacting with our website. Crazy Egg is quick to implement and provides a variety of insights on user behavior that can then be utilized to run A/B tests on site using their A/B testing tool. The A/B testing tool is somewhat limited but provides the ability to implement user behavior based goals as success criteria. "Great for basic websites, not parallax websites"
The email support side was great and always helped. Although I didn't like the low level of personalization with support. It felt like I was talking to some bot. This is a problem that I've seen with all Heatmap tracking tools, the lack of support with parallax websites. Even with its chrome extension it has trouble properly recording interactive websites. Additionally, I didn't like that you had to use a chrome extension to record a full heatmap. Most platforms do it in-browser. In terms of ease of use, this hurt the efficiency of the tool in my opinion. It was a major hassle to create heatmaps for each device (desktop, tablet, mobile). It took about 20 min to create heatmaps for 2 different pages. Don't make the user install a chrome extension to record a page. It should be all done within the Crazyegg platform. When the heatmaps properly recorded I was able to sufficiently understand where users engaged the most increase my ecommerce conversation rates. "A Must Have Tool For Every Marketer"
I love Crazy Egg. Monitoring your visitor behavior is unbelievably valuable insight that can help your business to provide better user experience and increase sales. I can't think of a feature or capability I dislike. At this moment, Crazy Egg product road map is meeting all of my expectations. Sign up for a free trial. If you don't like it, unsubscribe. The most dominant problem that I am able to solve is to get a relevant data that help optimizing conversion rates. "Easy to use, great insights, great support." It does exactly what it claimes to do. It`s really easy to set up and create snapshots of static and dynamic pages. Mobile tracking wasn`t that easy, but it was updated and the tool has increased it`s capabilities. If you only need click maps (including click distribution) and scroll maps then this tool is for you. 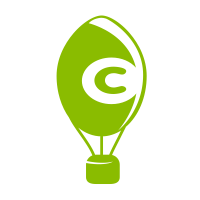 We`re using CrazyEgg to get insights to support our conversion optimization strategy. We got several great insights regarding the way people interact with different elements on our websites. We even used CrazyEgg to get information on how our support department is using our backend application. This allowed us to improve the interface and decrease the time spent by our agents with key elements that were on the bottom of the pages. I like the pricing structure and capabilities of the tool. Crazy Egg captures usage data that can't be captured by basic analytics. Within my first week of using the software, I was able to identify and fix a major usability issue with my website. Sometimes the tracking code can be a bit buggy. Crazy Egg is easy to implement, manage, and understand. A must-have tool for testing website usability. I use Crazy Egg to solve problems related to website usability. CrazyEgg makes it easy to understand issues and see on a very granular level the ways end users interact with your website. The benefits of CrazyEgg apply to website development, analytics, usability, and testing in easy to understand ways. "Cheap addition, but can bring a lot of value." I love the user insight this CrazyEgg gives me. I can quickly visualize data and get an idea of how people are interacting with items on my website. Google Analytics can be very confusing when you are just staring at numbers. This app allows you to really focus on improving your most important pages! It doesn't really give you features that let you dig in and get specific for an individual user. Sometimes something looks significant, but I can't get specific enough to tell if it really is. It's worth the small amount of money! This has helped us improve our website layout and presentation choices on a weekly basis. "Good for landing pages and blogs"
Shows visitor clicks in many ways including confetti and heat maps. You can use this data to improve your site. You need to create snapshots of pages, so, in my case, it would be of either article pages or the homepage. It's a bit burdensome to create a snapshot of multiple articles and isn't worth it. We mostly use it for the homepage to make it more user-friendly. We're trying to optimize the site so it's user-friendly and visitors read more content. "Great for Increasing Conversion rates"
I really like the ease of use for crazy egg. It's easy to setup, easy to make changes and easy to show our clients. I would love to see session recording built into the native capabilities. Try it out. It can only help your website or your agency by acquiring more information about your users. Helps me close more deals, while allowing me to keep current clients happy. "Using Crazy Egg to Optimize"
We like Crazy egg better versus other packages we have used. However the overhead in terms of slowing the site and costs have us only using it sometimes. It is a great tool and presents the user information in ways that help you make good decisions. Causes your site to slow down too much and over time costs can add up. Getting more engagement to web sites. Recording user sessions to see how users interact with the content. Can't think of much I don't like about Crazy Egg. Develop a hypothesis and test it during your free trial. See how well you predict actual user actions with your site. Helps design better UI that improves customer experience. Helps overcome design biases and use data to understand and prove what works and what doesn't. "Crazy Egg is Phenomenal "
I love how easy it is to navigate through the site. It's simple yet full of different options. There is no chat support or detailed manual. You have to teach yourself. Understanding our website visitors and what actions, lead capture, and content is successful. "A great tool for your analytics toolbox." Crazy Egg is great for visualizing your users page activity, allowing you to quickly identify patterns and see if users are behaving as expected; and if they're not, it can often provide some initial insight into how the user is actually experiencing the page. Each page analysis is completely independent from the others which prevents a holistic perspective. It would be nice to be able to navigate through the site and have click path patterns visually represent similar to how clicks on a page are. If you're looking for a one-stop shop analytics tool, this is not it. However, it is definitely a great tool to have at your disposal. It's best used when launching a new page or new design, because it can quickly show you if users are doing what you hoped they would do. The heatmap is especially helpful when presenting the results to those who aren't as familiar or comfortable with web analytics. A picture is worth 1000 words. Are call-to-actions as clear as we think? Are they are compelling as we think? Are we using the right wording? Are we using the right placement? Is are design intuitive? Is it misleading? "The Potential For Crazy Egg is off the charts...now about that interface..."
The interface is rough. ROUGH. Their menu options are hidden and often times you are left wondering "OK, now what do I do?" For example, if you reach your limit of screenshots, they bring you to a screen to delete screenshots but you can't do it one at a time, you need to select all before they will give you the option to delete. Also the "in snapshot" menu can be really confusing. Crazy Egg can be rather unreliable when it comes to the data it provides, so only use its features as a back-up. It's a great tool for helping to validate certain ideas or testing opportunities, but as a tool it has it's faults - for example, sometimes it doesn't gather all clicks, or if some content doesn't come into focus right away (say via Parallax) then it won't show you really what customers are clicking on. Basically don't rely solely upon Crazy Egg. I am helping to solve the problem of confused website visitors - making it easier to find roadblocks visitors face when they are looking to complete a conversion. I help clients make money by making the customer experience a better, more logical one. Removing clutter and sharpening site messaging. Besides the obvious financial benefits, I have achieved the added benefits of improved usability, site performance, cleaner design and consistent messaging during all steps in a site's sales funnel. CrazyEgg is very simple to use, and the start up time is minimal you can start gaining insights in less than a week. The features are obviously limited compared to other solutions in the space, but you get what you pay for. Understanding how visitors are engaging with website features, functionality and content. I like the data and charts that are easy for everyone to use. It would be beneficial to see more ways on how to use the information and what to do with it moving forward. Make sure you find the costs justified and are using the product to the full extent. Seeing where customers click within our webpage. I really liked the heat mapping feature of the software. It was one of my main tools in my toolbar when I did a lot of analytics and reporting. It has an easy to understand interface and a very good tool to show hard results to management. The main issue for us is that we had a lot of tools in our kit which started to become expensive. It wasn't a full robust reporting tool. Identify and pinpoint how users comb through a site or online app. "Still finding their competitive differentiation"
* Great integration with Optimizely, which is a common tool combination for testing. * Hard to get at a usable extract of click information for a page for deep analysis. * File sizes were huge for download and sharing. * Seemed like they had a few scattered feature offerings, but none that were deeply robust and a differentiator. Be clear on what data you want from the tool. Other tools out there (Inspectlet, HotJar) have feature parity and more features. In my opinion are more worth it. We were trying to gather more analytics on how our users were interacting with marketing landing pages. Specifically we wanted to look at heat maps to see where the fold was for most users and which components they were clicking and interacting with. Heat map and customer pathing data is effective in making design and content improvements. These insights also provide actionable input for A/B testing on key landing pages. The Confetti report tells more about the site visitors, how popular a certain area is on the site and how they entered the site. It helps in tracking clicks based on the category selected or browser used. To break-down clicks density by return visitor, search terms, search engine, etc. is useful for marketing planning and media teams so they can optimize their channels and on-site content accordingly. Other similar reports like heatmaps and scrollmaps can also be used for visual analysis, while browsing the site pages. Complex to implement and analysis from one page to another isn't continuous. Need more flexibility in exporting, storing and analysing report snapshots. The basic analytics package needs more advanced reports added to its toolset, to make it more robust for big enterprises. Use this tool as a visual add-on for your web analytics but not as the primary analysis source. It can help enhance heat maps and pathing research but can't replace other more comprehensive analytics. To generate maximum value from this tool, be prepared to customize the tracking code to meet your custom business needs. This factor is more critical when Ajax and HTML 5 types advanced programming languages are used to code site pages. To capture link clicks on home and category pages. This assisted in measuring top and bottom performing marketing banners. Those findings led to actionable optimizations, to drive customers deeper into the site towards the product pages. "Solid Product, Does Exactly What You Want"
I like the variety of visualization options. Heatmap, boxes, dots, etc. Wish it would occupy a bigger part of my daily analysis. The product is something I only check in on every couple of months. Benefits - better way of identifying what resonates with customers, I have learned a lot about user behaviour on websites. Nothing. I signed up for this service for one year at the recommendation of my web developer. We used it for 1 month, but it did not provide information that was overly valuable in our case. When I tried to cancel the service and receive a refund, they refused and their policies protect them from having to refund you. Don't buy it. You'll never see your money back and they will renew and renew the service unless you put up a fight. "Good basic user click & scroll info"
It's easy to set up and use, and you can get results quickly. A heatmap is only so helpful. Also - we have a lot of pages that use templates on our sites, but the page content is different. So it's difficult to get 'heat' or a scroll map of a general page type since the pages themselves are unique. Understanding what users are generally doing on the sites/where they are clicking. "Limited but decent product, annual charge renewal a surprise"
Easy to use, easy to understand, clear UI and a decent tool to measure clicks and scrolls. (1)Not a complete analytical story unless you cross reference the info with other tools. (2)They take annual payments from your account with no reminder. (3) They hide all your info if you close your account. I paid for this info. I should be able to access it. Be very careful of their annual pricing. I receive reminders from other subscriptions but not with these guys. Website page improvements, improvements to design and brand guidelines. "Changed admin for my account without verification"
This company changed the admin of my account without any notification or verification to me yet continued to bill me for the service. I've incurred around $700 worth of charges for a subscription not under my name, which I haven't used. They will update your account information without any notification or verification and continue to charge you. Ensure that any changes to the account admin are notified to the previous owner. Was trying to get an idea of how our users were looking at our content. I love how easy it is to implement, how simply you can see the results. Super easy to use which is important. Takes some time to get heatmap results as it needs X number of views. This is completely understandable. We didn't know how our landing page visuals were performing, and Crazy Egg really helped us understand which elements were working and which weren't. "Crazy Egg is a great starting point for heatmaps"
Crazy Egg is great starting point for customers who've never used heatmaps prior. It doesn't have the video replay functionality of the customer path that Hotjar presents. Crazy Egg is similar to Hotjar but does not have display user video sessions. We're able to see customer clicks, scroll tracking, and overall engagement on a webpage. "Very happy -- I've relied on CrazyEgg on several occassions"
Great for generating conversion test ideas based on where visitors are clicking and scrolling. It also offers the ability to segment new vs. returning visitors and where visitors are coming from, which is critical. There are a lot of other similar tools on the market that offer essentially the same service for free. Heatmaps are good, but they still only provide a small piece of the buyer journey. As for the product overall, it's very good. It's heard to say if CrazyEgg is a clear category leader or not, but it's a great product. Worth using. Conversion optimization. I've been able to visualize what visitors are doing on my sites, which helps a lot. "Crazy Egg the tool to convince clients where they need to focus efforts." The amount of detail you get in one package. I really dont have any dislikes at this time. Location of CTA's on page, might need to change the location to get more clicks. Maybe a browser or an OS system is having some issues. GEO tracking where people are coming from, concentrate on those locations. "Solid Product. Made a difference on a number of large builds. " Crazyegg provides simple, easy to understand data visualizations that can be used to help communicate, inform an resolve design problems. It's an yet another script to add to the site and another login to manage. This helped resolve a number of design and conversion problems on a larger fortune 100 B2B website. It also helped determine ad placement opportunities for a fortune 50 CPG company. "Simple and works well for static pages"
For dynamic pages, it is difficult to understand the the on page visuals, because the click "area" doesn't always represent what the user is actually clicking on. If you have mainly static pages or are trying to get some on page analytics and graphics for home page, it works much better than Google Analytics. Was a good heatmap tool that allows highlighted some issues with with lake of visibility to important areas of our pages. "Have been using it for more than a year to track clicks across variations"
Easy to use. Integration with testing tools. Help me understand possible distractions on the page. not that I think of. Some products are more advanced such as click tale and give more insights mut overall good product. Understanding if there is a focused eyeflow on the page or if any distraction is diverting attention away. I love the different levels of click-throughs that they show you. I wish it would automatically update pages when page changes are made. I am constantly having to manually update everytime I made a change to our home page. We are getting a better idea of where people go on the site, things that Analytics don't tell us! * We monitor all Crazy Egg reviews to prevent fraudulent reviews and keep review quality high. We do not post reviews by company employees or direct competitors. Validated reviews require the user to submit a screenshot of the product containing their user ID, in order to verify a user is an actual user of the product. Hi there! Are you looking to implement a solution like Crazy Egg?